Blame for the sell-off of China’s stock market has been levelled at the Sino-US trade war but Beijing’s problems have been evident for some time and run much deeper. Long before US president Donald Trump imposed billions of dollars in tariffs against China, a steady drip of credit tightening and middling Chinese economic data underpinned the selling, with the tariff rhetoric just amplifying the gloom. China’s key stock market index, the Shanghai Composite, has now tumbled into bear market territory for the first time in more than two years, falling another 1.1 per cent on Wednesday. The last major sell-off at the start of 2016 was driven by a clutch of bad economic indicators. This time analysts say a multitude of concerns for China — from a mounting trade war with the US and failing overseas projects, to tighter credit and a pullback from institutional investors — has spurred the abrupt cooling of investor sentiment for shares. Concerns about tightening monetary policy over the past year and more restrictive banking regulation have fuelled fears about tight credit and lower growth — worries seemingly confirmed by a wave of bond defaults seen in China this year. Banks have been forced to recognise many off-balance-sheet assets. This has led to a tightening of liquidity in shadow lending channelled through asset management companies. In China’s bluntest response to the fall in stocks so far, the People’s Bank of China announced on Sunday it would cut the reserve requirement ratio (RRR) for a number of banks, deploying about $100bn into the economy. The measure was directed at cushioning the impact of the US tariffs and allaying investors concerned about credit tightening. “The policy is to support a stable market. 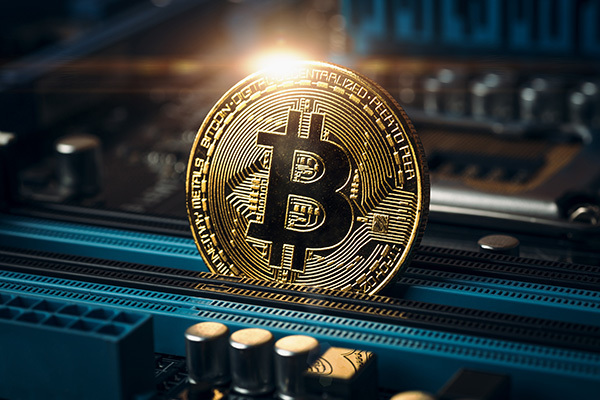 The RRR cut showed this, and from a monetary policy perspective, there are a lot of tools for the PBoC to employ,” said Frank Tsui, a fund manager at the Hong Kong-based Value Partners. But the RRR cut has been complicated by a drop in China’s renminbi. Its fall this week of 1.5 per cent against the dollar, which takes it to its lowest level in six months, has investors wondering whether the PBoC may be using the exchange rate as a trade war tool. “Aside from retaliating with like-for-like tariffs, Chinese policymakers could well be intentionally weakening their currency as another form of retaliation — a weaker CNY would help Chinese exports and hurt US imports,” said Bilal Hafeez, forex strategist at Nomura. But he and other analysts know there would be a hefty price to pay — in turning investors away from Chinese markets, and encouraging capital flight. That would inflict more harm on the Chinese economy than the US economy, said Geoff Yu of UBS Wealth Management — not to mention China’s trading partners. “So devaluing the CNY would likely invite criticism from other countries,” he said. In any case, Mr Yu added, the US could easily raise import tariffs further to offset the effects of a weaker renminbi. Renewed investor anxiety over China comes at a time when its companies were hoping to capitalise on growing market attention. Global index funds began pouring money into Chinese stocks many months before China’s inclusion in the MSCI Emerging Markets index. Index provider MSCI added a list of 234 China-listed stocks to its flagship EM index in late May, a moment viewed as a key development for China’s opening up to global investors. But the MSCI hype has largely petered out, analysts said. Mr Kwong said no single factor had pushed the Shanghai Composite into bear-market territory. Instead, diverse factors led to the poor performance. Even problems with the country’s overseas infrastructure boom, called the Belt and Road Initiative, has generated increasingly negative sentiment on domestic stocks, he said. Traders now have to decide whether the China’s domestic share market is oversold. A widening discount of A-shares to equivalent stocks traded in Hong Kong suggests that China’s predominantly retail market has over sold. The ready consensus among asset managers and investors is that central bank buying has kept bond yields low over the past decade. Yet many economists — and even some policymakers — doubt that the asset purchases made via quantitative easing have been that effective. The Federal Reserve’s first shot of QE in 2009, when interest rates were still relatively high, was effective but subsequent rounds are judged to have been less so. Indeed, bond yields often rose during periods when the Fed was conducting QE. By the time the European Central Bank launched its own version of the programme, eurozone bond yields had already fallen. So if it’s not central bank buying, why else would interest rates be low? It’s a question with important ramification for investors, who this month saw the ECB call time on its QE programme and the Fed continue to unwind its balance sheet. 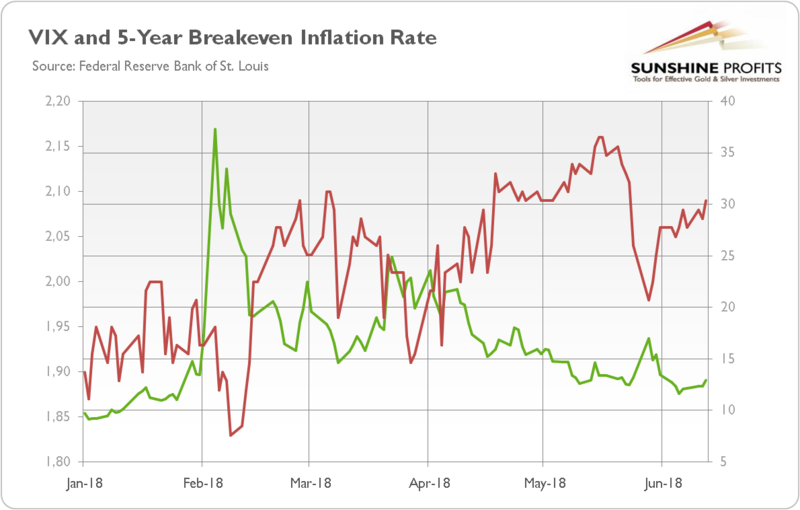 Ultimately, rates are low because growth is weak and inflation contained. There are two factors behind slower economic expansion. Feeble growth in countries’ labour forces, especially in the US— where the participation rate of prime-age workers has dropped — is one headwind. The other is the weakness in productivity growth. What’s clear is that inflation is historically lower than one would expect given the appearance in the US, Europe, and Japan of some late-cycle economic indicators including a peak in US car sales. During the financial crisis and recession, it was easy to grasp what put a floor under the drop in wages. The rise in unemployment should have given rise to a greater fall in wages. Factors that neoliberal economists refer to as “labour market rigidities” — but that are actually the result of an historically bloody fight that forged a social bargain between workers and employers in high-income economies — capped the drop in pay. However, it is harder for many to incorporate such non-economic factors into an analysis of what is preventing higher wages. Yes, there are demographic issues like higher paid Baby Boomers retiring and young, less experienced and lower paid employees joining the workforce. Automation threatens not only lower-skilled jobs, such as in retail, but skilled workers are increasing at risk. Asymmetries of power may also help explain the stubbornly weak pay growth in countries with full or nearly full employment, like the US and Japan. The raison d'être of trade unions is to bolster workers’ pay and benefits. Yet since the late 1970s, the US government has made it more difficult for collective bargaining and representation. At the same time, thanks to the consolidation and concentration of industry, employers often find themselves as the monopolistic — or at least oligopolistic — buyers of labour. An often overlooked factor depressing interest rates is the relative abundance of capital. The secular stagnation thesis expounded by Larry Summers recognises the condition of excess savings and industry’s weaker demand for capital. However, this problem may be a more fundamental condition of market economies. My recent book, Political Economy of Tomorrow, traces this issue from the first American who presented it, Charles Conant, at the start of the 20th century, and who worked here at Brown Brothers. Then there is the effect of excess capacity on interest rates. It is this excess capacity that helps drive down the price for goods, undermines wages and spurs the nefarious race to the bottom. There are important implications for investors if central banks are not the main cause of lower interest rates. For one, it means that rates will probably remain low even after the ECB finishes its asset purchases. It also suggests that US rates will probably stay lower than many models suggest appropriate for a given level of growth and inflation. This has knock-on implications for setting investment thresholds for businesses and portfolio allocation decisions. 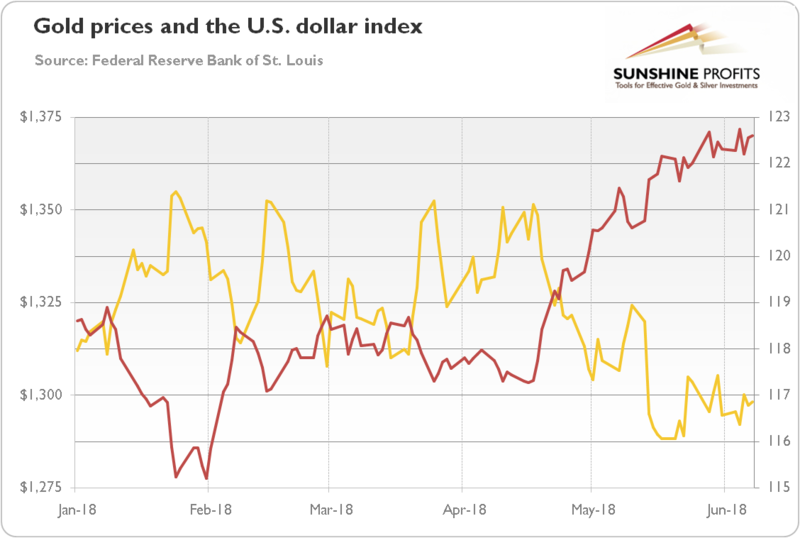 The dollar may still be in the third large rally since the end of the Bretton Woods era of fixed exchange rates, but this is a largely a cyclical story. The current US policy mix of tightening monetary and easy fiscal policy is explosive for a currency. It’s what Reagan and Volcker pursued in the early 1980s, and what Germany did through its leveraged buyout of the east. Overall, the depth and breadth of US capital markets and the flexibility of other institutions is allowing the US to cope with a world of low rates and modest growth. Interest rates will remain low even after central banks finish their asset purchases. until growth and inflation increase on a sustained basis, which may have to wait for the next cycle. The absorption of the surplus savings and capacity will take longer to address and is the source of flash points in the world economy. As President Donald Trump flies to Europe for a week of summitry, the trepidation in European diplomatic circles is palpable. With trans-Atlantic relations at their lowest ebb in postwar history, one question has dominated discussion this year in Europe’s chancelleries and corridors of power: Is Mr. Trump’s goal to reform the multilateral system that has underpinned the West’s security and prosperity for the last 70 years? Or does he want to destroy it? There is no question that the scale of Mr. Trump’s assault on the institutions and arrangements at the core of that system over the past year has unnerved Europe’s political leaders. He has put the World Trade Organization at risk of paralysis by withholding U.S. support for the appointment of new members to its appellate body, and has undermined the core principles of the global trading system by invoking what critics regard as bogus national-security concerns to introduce protectionist tariffs on imported aluminum and steel. He has made clear his disdain for the European Union, which he has claimed was established to undermine American interests, by enthusiastically championing Brexit and suggesting to French President Emmanuel Macron that he lead his country out of the EU, too. He has withdrawn the U.S. from the United Nations Convention on Human Rights, quit the Paris climate accords and pulled out of the Iran nuclear deal. This week’s summit of the North Atlantic Treaty Organization in Brussels is set to become the next test of Mr. Trump’s intentions. European diplomats have spent weeks working with their U.S. counterparts on crafting what they say is a solid draft communiqué that addresses important technical issues. But European envoys had made what they saw as similar progress working with U.S. officials to address Mr. Trump’s concerns about the Iran nuclear deal and the UNCHR, only for the president to withdraw from both. They fear a repeat of the fiasco that followed the Group of Seven summit in Canada last month, when Mr. Trump withdrew his support for the summit conclusions in a way that humiliated America’s allies before flying to Singapore for a summit with North Korean leader Kim Jong Un. Their greatest concern is that Mr. Trump will turn the Brussels summit into a squabble about Europe’s inadequate defense spending, sowing anger and division just days before he flies to Helsinki to meeting with Russian President Vladimir Putin —an encounter the U.S. leader has already said he expects to be easier than the one with allies in Brussels. European governments cannot make up their minds whether Mr. Trump’s assault on multilateralism is driven by ideology, opportunism or ignorance. Diplomats note that some of his criticisms are factually wrong. The EU wasn’t founded to undermine the U.S.; past American governments have regarded European integration as a core strategic objective, starting with the Marshall Plan. Mr. Trump’s complaint that the U.S. loses a majority of its WTO cases is also simply untrue. Crucially, Mr. Trump has failed to acknowledge the extent to which the multilateral system has worked over the past 70 years, not least in preventing a wider collapse following the financial crisis of 2008, says a senior international diplomat. “The stability, predictability and transparency provided by the rules-based system are a global public good: People benefit without noticing that it’s there, like oxygen in the atmosphere,” the official said. Among European governments, faith in the global rules-based order is unquestioned, nowhere more so than in Germany, which now finds itself in the unfamiliar and deeply uncomfortable position of being cast as Mr. Trump’s No. 1 target. In Berlin, senior officials acknowledge that Mr. Trump’s criticisms of past low levels of defense spending are justified, while pointing out that current government plans to raise military expenditures to 1.5% of GDP by 2024 will, if realized, make Germany the second biggest defense spender in NATO. The German government has also signaled it is willing to work with the U.S. toward a plurilateral trade deal binding all the major automobile manufacturing countries toward eliminating tariffs on cars. Other countries, including China and Japan, have also expressed willingness to engage with the U.S. to try to address Mr. Trump’s concerns over the WTO in an effort to preserve the system. This pragmatism is partly driven by Europeans’ awareness that they have no alternatives beyond trying to engage with the U.S. to maintain the rules-based system. China is hardly regarded as a reliable partner, only defending multilateralism only when it suits its interests; Russia has consistently violated the system. And while Mr. Trump’s actions have sparked urgent discussions about the need for European “strategic autonomy,” diplomats are under no illusions that the European debate is still stuck on discussing processes for security and defense cooperation and is a long way from being able to identify strategic priorities, let alone credibly deploy force. Some Brussels officials, convinced that Mr. Trump’s true intention is to destroy the rules-based trading system, haven’t found success in canvassing ideas for alternative dispute-resolution mechanisms so other WTO members could bypass a paralyzed appellate body. The reality is that most European governments are betting that the current trans-Atlantic tensions will prove temporary: Diplomats note that Mr. Trump has in fact increased the U.S. military commitment to European security and expect his eventual successor to recognize that the global rules-based order continues to serve American interests. But it is also possible European governments cling to this optimistic view because the alternative is too troubling for European governments to contemplate: that the postwar multilateral organizations have far outgrown their origins as small clubs of like-minded members and become unreformable; and that Mr. Trump’s focus on sovereignty is fueling nationalism on their own patch, undermining political support for multilateralism in Europe even as governments there battle to defend it. Can New Economic Models Improve Public Policy? Last summer, the Roosevelt Institute released a study on the economic impact of a universal basic income program that would give all U.S. adults an unconditional cash grant every month to cover basic expenses. Using a Keynesian model, the left-leaning think tank said such a giveaway would boost the economy in part because lower-income households would spend what they received. For example, it found that if all adults received $6,000 a year in grants, it would boost GDP by about 7% in the program’s eighth year, if financed by borrowing rather than raising taxes. “When we did this exact same analysis, we found just the opposite effect,” said Kent Smetters, Wharton professor of business economics and public policy and faculty director of the Penn Wharton Budget Model (PWBM), at its first annual Spring Policy Forum held last week in Washington, D.C. Using data analytics and cloud computing, the PWBM offers a non-partisan, interactive, online tool to figure out how various changes in government policies might affect the economy. Based on the model, Smetters and his team found that GDP would fall by 6.1% by 2027 and by 9.3% by 2032. The proposed universal basic income plan would also raise the federal debt by more than 63.5% by 2027 and by 81.1% by 2032. With fewer taxes collected, Social Security revenue drops by 7.1% by 2027 and 10.4% by 2032. On the other side of the political aisle, the Penn Wharton model also has bad news for the White House. After analyzing President Trump’s plan to boost federal infrastructure investment by $200 billion to provide incentives for a total new investment of $1.5 trillion, it disagreed with the results. The model said most of the grant programs in the plan “fail to provide strong incentives” for states to invest additional money in public infrastructure and the plan will have “little to no impact on GDP.” The White House called the analysis “flawed” and challenged the findings. Economic analyses play an important role in informing legislators as they go about voting on laws that affect every American. But too often, these analytical reports are generated by groups that have a particular point of view — whether it is a conservative think tank’s pro-tax cut agenda or a liberal consumer group’s support of expanding public benefits. Their analyses also could be too simplistic; Smetters said some can run easily on an Excel spreadsheet. So there is a need for robust, reliable, nonpartisan analysis, which is where the PWBM comes in. The model uses big data science, cloud computing and visualization tools in an advanced economic model to analyze public policy. Smetters said it is a “dynamic” model where users can run their own simulations of outcomes by manipulating different variables. Moreover, it uses an “overlapping generations model that incorporates all sorts of uncertainty and other very rich details that existing models — which are much more calibrated to unrelated previous policies — are not going to pick up,” he noted. This technique considers different age groups because decisions made by older generations can affect younger generations. According to Smetters, the Penn Wharton Budget Model spends 80% of its time validating results and the rest on coding. “We go back in time. We compare census data against our model predictions. We first do that before we project forwards.” Once the microsimulation is validated, the model is used to look ahead. Another key feature is that the PWBM considers the country’s debt load in its analysis. For example, it shows that the Trump tax cuts will grow the economy about 0.06% to 0.12% a year but go down over time because of the impact of debt. “This is much below the 0.4% that was very commonly discussed in Washington” in order for the tax cuts to pay for themselves, he said. Personally, Smetters said, it was his desire to objectively see “where we’re headed as a nation” that led to his involvement in the PWBM. He echoed the sentiments of former Microsoft CEO Steve Ballmer, who also spoke at the conference. Now retired, Ballmer said he was urged by his wife to engage in philanthropy. But Ballmer also wanted to know where the government’s finances stood, so he created a nonprofit, nonpartisan group called USAFacts. The group applies the rigors of Wall Street to the government’s finances — and came up with an annual report of Uncle Sam’s revenues, expenses and years of net losses. It only uses government data. Thomas Barthold, chief of staff of the U.S. Congress Joint Committee on Taxation, said it is important to remember that while economic models have improved over time, they are still “imperfect.” He added that “we don’t have perfect knowledge about the effects of deficits on the economy, in particular the timing or magnitude.” But the role of economic models remains important. “We’re trying to have both qualitative and quantitative guidance to provide to policy makers, our elected representatives who make the decisions that are important for our future,” said Barthold, who sat on the same discussion panel as Smetters. Barthold noted that when President Kennedy instituted his round of tax cuts in the 1960s, they were based on “simple economic modeling.” Economic models also were used in decisions that led to the income tax surcharge in 1968 and 1969. And, “with the increasing deficits in the 1980s, you saw a lot of emphasis put on projections of what was going to happen to the federal deficit,” he said. However, economic models have limitations, too. During the twin energy shocks of the 1970s with oil shortages and rising prices, Barthold said, the models could not find the cause of stagflation — slow economic growth with high rates of inflation. When two federal agents showed up to harass suspected arms trafficker Phil Zimmerman, Phil was out of his element. He wasn’t your usual gun runner. He wasn’t linked to any cartels, spies, or other shady characters. But he had written a bit of computer code that the US government considered a weapon. In the early 1990s, Phil Zimmerman invented what is now the world’s most widely used email encryption system. It’s called Pretty Good Privacy (PGP), and it ensured privacy between the sender and receiver. Zimmerman also made PGP freely available to anyone over the internet. They charged him with violating the Arms Export Control Act. The penalty… Three to five years in prison and a $1 million fine. In truth, the US government attacked Zimmerman for trying to protect something it loathes: personal privacy. By April 1991, Zimmerman was deeply concerned about the state’s growing ability to spy on the average person. He also made the computer source code public. So, other people could publish the software on their own websites as well. Eventually, the coding community made scores of copies, spreading the encryption technology across the US and Europe. The US government hated that private individuals now had easy access to sophisticated encryption technology… something governments had long held a monopoly on. That’s why it targeted Zimmerman for a criminal investigation. Ultimately, the investigation turned into a bitter lesson for the US government. Anyone could download the code. And privacy enthusiasts had already spread copies all over the internet. So, there was no way for the government to stop it. That’s because there was no single point of failure. There was no business to shut down, no corporate office to raid, no CEO to shake out, and no central database to confiscate. In the end, the government dropped all charges against Zimmerman. As I’ll explain in a moment, this failed witch hunt is just one of reasons I’m confident the government can’t stop Bitcoin… another private, encryption-based technology. Anyone in the world can use Bitcoin, just like anyone in the world can use email. And, if you take certain steps, you can essentially make anonymous transactions. You see, Bitcoin doesn’t use the traditional financial system. It has no central authority. Instead, it runs on a decentralized and voluntary network scattered around the world on many thousands of computers. Bitcoin does not rely on so-called “trusted” intermediaries or third parties. It has no counterparty risk and no single point of failure. In short, owning bitcoin lets you escape the matrix… the financial prison that governments have erected with fiat currencies, central banks, and privacy-killing regulations serving as the bars on the door. It’s like a Swiss bank account in your pocket. Unlike paper currencies, bitcoin is an inherently international asset. It has incredible value as an international transfer mechanism. You can take any amount of it in and out of any country. You don’t need permission from any government. With Bitcoin, there’s no central location for a SWAT team to raid. There’s no “capo” to arrest. Governments can do nothing but play an endless game of whack-a-mole across the globe. It’s basically impossible for the US government, the Chinese government, or any government to kill Bitcoin without shutting down the entire internet… and keeping it off. Bitcoin is simply bigger than any government. That’s why it’s extremely appealing to anyone who respects privacy and holds a healthy disdain for government. It’s also instructive to look at BitTorrent, the file sharing software, to appreciate why governments can’t stop Bitcoin. BitTorrent has been around for over 15 years. It’s easily accessible to anyone, despite the US government’s best efforts to shut it down. There’s no reason to expect the government would have any more success eradicating Bitcoin than it’s had with BitTorrent, or Zimmerman’s encryption code. Bitcoin’s resilience to government interference terrifies politicians. This is why it’s such a disruptive and exciting technology. Bitcoin helps people bypass these restrictions. That’s because governments can’t freeze, seize, or block the transactions. Bitcoin has become an escape hatch for people living in crisis-stricken countries. But I think it’s valuable to ordinary people everywhere. That’s no coincidence. Both countries are suffering through chronic economic crises. They have some of the highest rates of inflation in the world. Their governments also strictly control access to foreign currencies. This traps their citizens in a prison of rapidly depreciating fiat currencies. It’s been difficult to escape, until now. Bitcoin offers regular people a safe haven. They can easily use it to send and receive wealth. That might mean paying for goods and services when the local paper money becomes worthless, or discreetly receiving a much-needed influx from relatives who have managed to get out. Whatever the particulars, bitcoin bypasses unsound banks, worthless currencies, and government confiscation schemes. When a crisis hits, a government can easily steal the money in your personal bank account. It can also steal purchasing power by printing more currency. But it’s next to impossible for it to steal bitcoin or prevent people from using it. In a crisis, bitcoin is invaluable to the common man. Whenever there’s a crisis anywhere in the world, its price and volume spike. It’s also why I think bitcoin use will soar during the next global financial crisis, which I believe is not far off. For thousands of years, gold has been the safe-haven asset. Unlike fiat currencies, physical gold in your possession cannot be easily confiscated, nationalized, frozen, or devalued at the drop of a hat. I see bitcoin as a complementary tool for advancing your financial freedom. Today, very few aspects of your private life are beyond the reach of the government… the US government in particular. But bitcoin offers a relatively simple way for ordinary people to maintain some financial privacy and discreetly grow their wealth. It has some of the same crisis benefits as gold. It’s also a solid speculative investment and a convenient way to start internationalizing your wealth. I think everyone should own some bitcoin. But the fact that gold prices were able to rise for a while amid the surge in the greenback is significant and requires a more detailed examination. We offer two points about this unusual development. First, the ECB’s stance is actually not as dovish as some analysts interpret it. Why?